91st day of the year. There were then 274 days left in 2019. 13th day of Spring. There were 82 days left till Summer. April 1, 2019 was the 27th day of Lent (Christian Observance). 100k RTs and I will stop being a family-friendly streamer and start cursing. 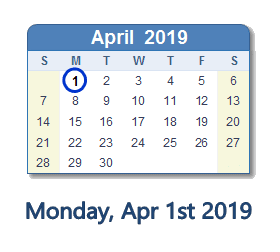 What happened on April 1st 2019?